Judith Rasband is a Certified Image Master (CIM) in the Association of Image Consultants International, one of the first to be awarded with this achievement and one of only eight worldwide. Her Core Competencies in Image Management Careers have been adopted by AICI. She is the founder of Conselle L.C. and CEO and Director of the Conselle Institute of Image Management. Judith earned a master’s degree specializing in the artistic, social, and psychological aspects of dress and image. With a passion for the work, this dynamic image consulting professional has decades of experience in the field as fashion and image educator, author, columnist, speaker, consultant, stylist, and video producer. She is active in her continued role as consumer advocate. 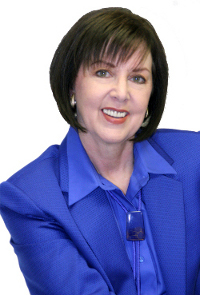 An international authority on image consulting and management, Judith is a presenter, consultant, and coach to private individuals, civic, corporate, government, and academic organizations & associations throughout the U.S. and Canada. Addressing the sensitive and often emotional issues of personal appearance, attitude, and etiquette, she is known to present more than 250 seminars in a single year. A member of the Association of Image Consultants International, Judith was awarded AICI’s Certified Image Master (CIM) status in 2000, one of the first to achieve this highest level of professionalism. Judith was honoured with the prestigious “IMMIE”, AICI’s Image Makers Merit of Industry Excellence award in the area of Education, identifying her as one of the top image professionals internationally. Judith served as AICI’s VP Marketing, Advanced Education Chair, and Ethics Chair. Judith is author of text and trade books that include the Image Management Quick Reference Guide, Wardrobe Strategies, Fabulous Fit 2nd Edition, the industry bible Fitting and Pattern Alteration 2nd Edition, as well as the award winning classic videos Look Changers and Five Easy Pieces. All are used in schools and universities and at Fashion Institute of Technology. Her articles and quotes have appeared in USA Today, The Wall Street Journal, Entrepreneur, Men’s Health, Glamour, Shape, European Stars & Stripes, Threads, Woman’s Day, Family Circle, and Image Update as well as newspapers nationwide. She has appeared on television and radio shows such as Oprah, Today, Good Morning America, ABC News, and the BBC, as well as scores of regional news and talk shows.